What makes a better gift than a book? A previously loved book, of course! 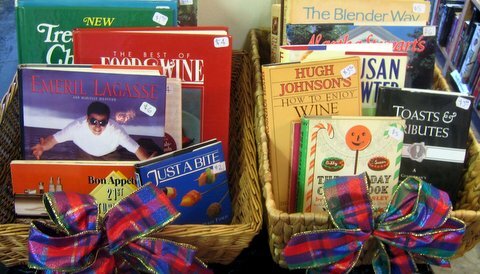 The Friends of the Hudson Area Library will hold its annual Holiday Book Sale, beginning with a special preview day for early buying on Friday, November 15th, from 1-4pm. The sale will then continue each Saturday of November, as well as December 7th and 14th. This year the Friends are offering a wide assortment of new and gently used books, all carefully chosen, sorted and displayed for easy browsing. There are also hundreds of specialty and newly released books in a multitude of categories, including a wide range of unique vintage and collectible books. Our elves will be adding new books to replenish the shelves, so be sure to stop in often and discover new selections. There are thousands of titles to choose from in over forty categories, including art, fiction, mystery, cooking, travel, poetry, classics and literature, gardening, humor, biographies and non-fiction, as well as our special section of children’s books for every reading level. This Holiday Sale is the perfect opportunity to give generous gifts that will bring the joy of reading to everyone on your list, at a price to fit your budget! This entry was posted in Adults, Friends, Fundraising and tagged holiday book sale by Cayla. Bookmark the permalink.